Are you searching for an auto repair shop near Covington, Maple Valley, and Black Diamond that offers reliable and safe Subaru service? Your search is officially over, as the team of auto mechanics at Valley Automotive Repair & Electric are the experts in auto repair throughout the region and even beyond. As a testament to the quality and reliability of our work, we offer a 30-month/30,000-mile warranty. Your Subaru has a reputation for being an incredibly safe and reliable vehicle, and at Valley Automotive Repair & Electric, we take that reputation very seriously. 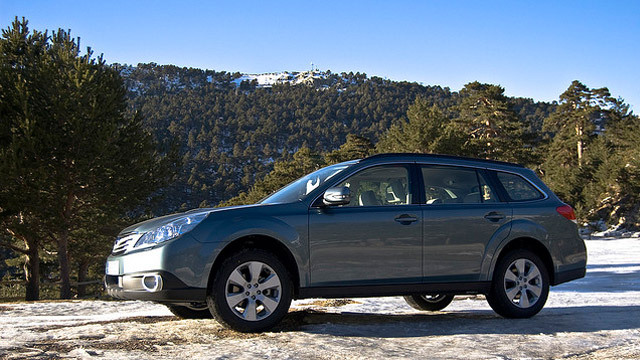 We will perform a comprehensive inspection on your Subaru, leaving no stone unturned, so to speak. If we see an issue that could potentially jeopardize your vehicle's safety, longevity, or reliability, we will let you know, providing you with all the facts so you can make the right decision for you, your vehicle, and your budget. "Great service. Love the location and the facilities! I hope you continue to grow as a reputable shop as there is a need for a trustworthy neighborhood business such as you. Every contact has been positive." -- Michael B.
Valley Automotive Repair & Electric should be your first choice for Subaru service and repair among shops from Covington, Maple Valley, and Black Diamond drivers. As an auto repair shop with a commitment to integrity and knowledge, you can trust our team to inform you each step of the way. Schedule an appointment today, or stop by at 17621 SE 272nd St, Covington, WA 98042.